Defense Minister Liberman explains decision to close Gaza crossing, says Hamas uses children to send incendiary balloons into Israel. 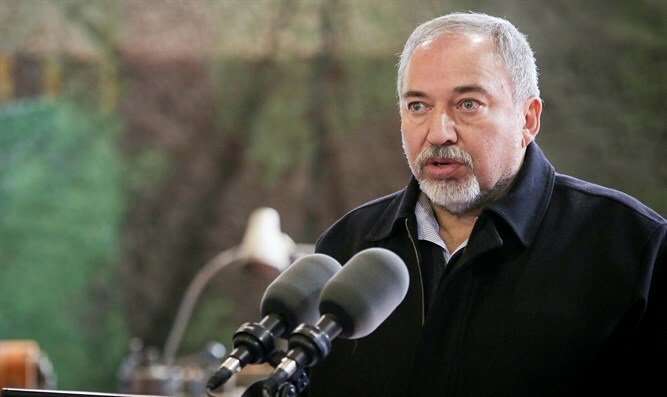 Defense Minister Avigdor Liberman on Thursday morning explained his decision not to allow fuel into Gaza through Israel's Kerem Shalom crossing. "We are not planning to play ping pong," he said. "There was an Egyptian request and we acceded to it. We took half a step, and allowed them to bring gas and fuel in, but Egypt also promised there would be no more rocket attacks, kites, incendiary [balloons], or violence along the border." "Since those things are continuing, I decided to close the crossing to fuel and gas. What I am still allowing is food and medicine. And until the whole story with the kites, incendiary [balloons], and violence on the border stops, this is what will be. "I just want to emphasize that Gaza has no alternative for gas. They can bring in fuel through the Rafah crossing, but not gas. Unfortunately, their exports, especially textile and agriculture, is only through the Kerem Shalom crossing, which unfortunately is also closed. "I hope the Gaza public will act to pressure the Hamas leadership and understand that there are options which are much better than receiving electricity 4 hours a day, and there are better options for employment...as well. They need to completely stop all the violence, and if they want rehabilitation - so rehabilitation will come in exchange for demilitarization." Liberman also noted that Hamas uses children to send incendiary kites towards Israel. "I repeat: We have a clear policy regarding Gaza," he said. "The entire issue of the missing and captive - if there is no clear agreement, we cannot move forward." "Regarding those who send [incendiary] kites [into Israel] - because they send them from within populated homes, and purposefully send small children, even from a distance of 3-4 kilometers, where you can't see the terror cell anymore - we make our own decisions." "At any rate, we need to hit those in charge of sending the kites - not their pawns, not through operations, but the ones who send them. We will act accordingly. "In the past week, they have become more organized and plan better. Under the [directives] of Hamas, they are sending the kites or balloons from within homes and apartments, mostly by using children."